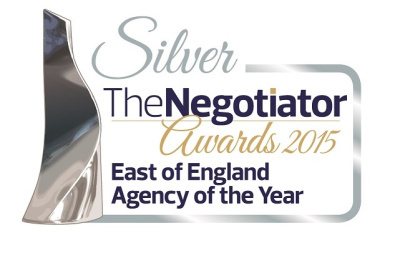 David Lee are thrilled to announce that they have won Silver in the East of England Agency of the Year category at the Negotiator Awards 2015, the premier awards for the UK estate agency industry. The 2015 entry list was the biggest in the history of the awards. Lee O’Brien, Director of David Lee, commented “We are over the moon with this award. 2015 has been record breaking for us and this is the icing on the cake for all our wonderful staff who have worked so hard this year. 2016 brings the opening of our new office in Great Dunmow and we hope to continue to build on the success of the last 12 months”. The winners were announced at a gala dinner hosted by comedian and impressionist Alastair MacGowan at the London Hilton Park Lane.